The goal of the Legal Way Ambassador module is to identify and train our trusted intermediaries to recognize preliminary signs of legal issues, know what resources are available to community members and have familiarity with the legal clinic’s operation and services. Julie finds herself in a situation she never dreamed of. She has lost her job unexpectedly; she has no income until her employment insurance starts, weeks from now. She lives in a small town and needs her car to get around and has no money for gas – it’s hard to get her special needs child to his medical appointments and search for work with no transportation. She can’t pay her rent this month. She has no family to help. Social problems become legal problems for no good reason. If Julie can’t pay the rent, she might be in danger of eviction. What if her employment insurance is denied? What if her child acts out at school and is facing suspension? librarian. The thing these trusted folk all have in common is a close connection with vulnerable members of the community and information to share. The tools provided aim to support to those implementing this process. Creating relationships with “Ambassadors” provides opportunity to identify potential legal issues early, sometimes before an issue requires legal services, and provide information or referrals in co-ordination with the legal clinic to get the community member the assistance they need. Canadian data indicates that about 15% of the overall population experience 3 or more everyday legal problems. 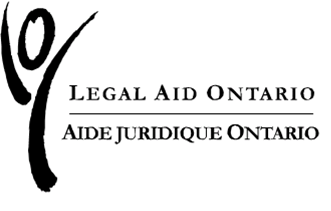 During a legal clinic pilot project, 64.2% of intake clients experienced 3 or more problem types. This is about 4 times the national average.